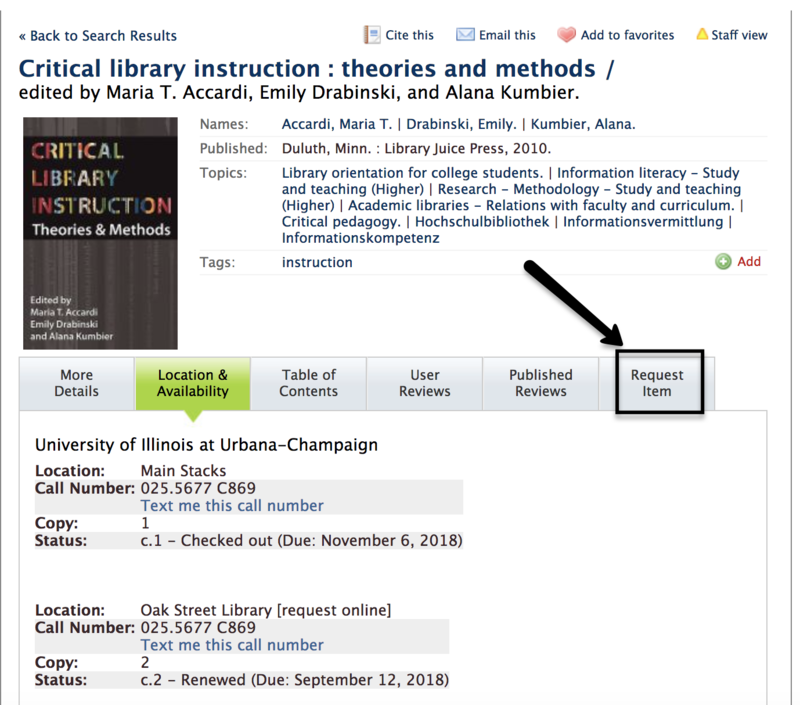 The local catalog allows you to place a request for items currently available in the University of Illinois Library or a library associated with I-Share. You can request to pick up the item from any library on campus, or you can have it sent to your campus office mail address if you have one. 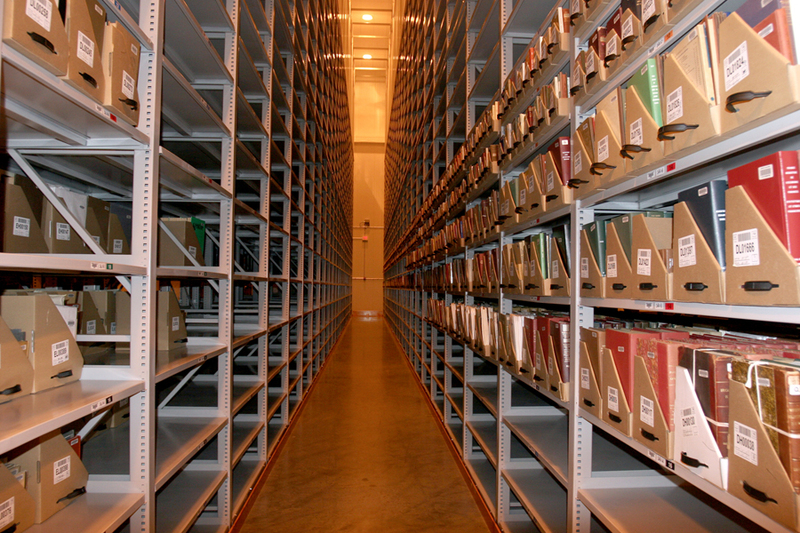 Search the Library Catalog or I-Share Catalog. When you have found the item you want to request, check if it is available. Click the “Request Item” tab. Log in to your account using your library account username and password. Once you are logged in, choose where you would like to pick up the item and click “Request” or "Request 1st Available." Some faculty and graduate students can have circulating library materials delivered to their offices. You will be sent an email when your request is available for pickup. 1. Log in to your account using your library account username and password. 2. Click on "Checked Out Items" on the right-hand side of the page. 3. Here you will see a list of items you have checked out. 4. Select the items you would like to renew by putting a check into the box by each item as indicated below or click on the Select All link if you want to renew all your items at once. 5. Scroll down to the bottom of the screen where your checked-out items lists end and click on the Renew Selected Items button highlighted below. You can also renew items by calling the circulation desk (217-333-8400) or by coming to any campus library in person. If you receive an error when you try to renew an item, contact the circulation desk.